Seniors will have more success maintaining healthier diets if gender differences are taken into account, according to research from the University of British Columbia. A new study, published in the journal Appetite, showed that men and women had different responses to tactics aimed at boosting seniors’ intake of fruit and vegetables. The study divided social-support efforts into two categories: tangible and emotional/informational. According to a university news release, tangible support refers to assisting with tasks such as shopping and cooking. 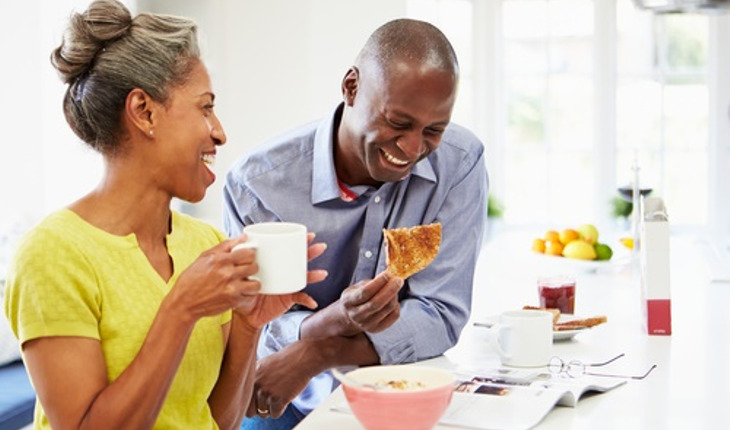 Emotional/informational support refers to efforts that help bolster one’s sense of importance and ability to tackle tasks such as cooking, along with actions such as providing recipes and suggestions for meal preparation. The investigators found that women responded better to emotional support. On the other hand, they did not do as well with tangible support. “This may mean that emotional support is encouraging women to cook for themselves, and that the meals they prepare contain more fruits and veggies than those made for them,” said Emily Rugel, the study’s lead author and a PhD candidate at UBC’s School of Population and Public Health. Men did not respond significantly to the different types of social support examined in the study. A guideline of five servings per day has been linked to a range of health benefits, including lower rates of stroke, cancer, depression and dementia. However, less than half of Canadians aged 65 and older meet the five-a-day guideline. “This means that there’s an opportunity that we’re missing: to encourage or provide friends and family members of older adults with the tools they need,” she noted.